Jurgen Klopp has indicated Liverpool will navigate their way through their current injury concerns after suggesting they won’t be making a late splurge in the January transfer market. Injuries to key defenders Joe Gomez, Dejan Lovren, Joel Matip and Trent Alexander-Arnold have threatened to undermine the Reds’ bid for title glory, with the likes of James Milner at right-back and Fabinho in central defence, asked to fill in in recent matches. Reports have suggested Klopp could turn to the January market in a bid to cover their immediate shortcomings, with the likes of Porto’s Eder Militao emerging as a potential recruit. However, with Matip returning to action in with win against Crystal Palace on Saturday, and Joe Gomez also closing on a comeback, Klopp has indicated he’s unwilling to spend for the sake of it this month after suggesting Liverpool will “just have to come through”. “It is a really difficult problem,’ said Klopp. “I can imagine what people think about this situation but you have to make decisions in moments when decisions are on the table. “That’s why Clyney [Nathaniel Clyne] is not here anymore. In that moment we had plenty of options and now we don’t have them. That’s how it is in our next games. “Trent got an injury and it’s serious but not that serious. He will be back early but I don’t know if early enough for the next game. Maybe the game after. Milner’s red card against Palace on Saturday means the versatile star will now serve a one-match ban – meaning a possible start for Rafael Camacho, 18, against Leicester in their next game in January 30. Fabinho, who did play in the role for Monaco on a number of occasions, is also an option. Liverpool, meanwhile, are not thought to be preparing a £20million summer bid for highly-rated Schalke midfielder Weston McKennie, despite reports they were tracking the American. 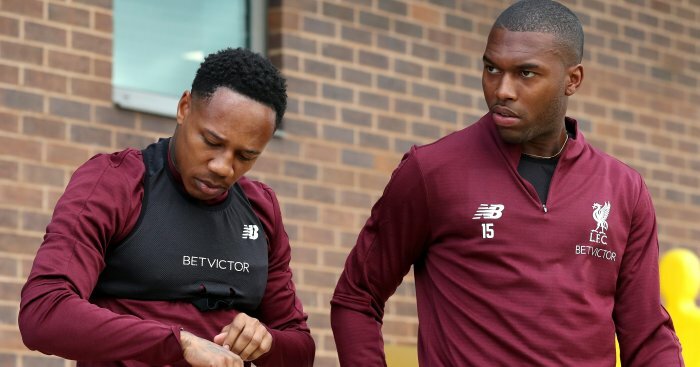 The post Klopp drops January transfer plan amid Liverpool injury fears appeared first on teamtalk.com.